If you desire to heat some specific area of your home or desire a warm comfort throughout your home, most efficient, effective and inexpensive option is a ducted system. Although these systems are suitable for all the climates and they are most useful for the homes where temperature variations between summer and winter months are extreme. 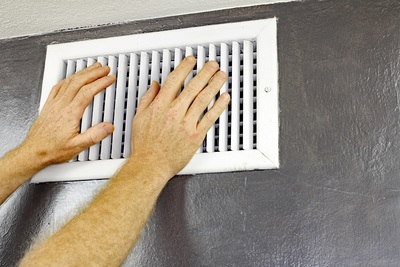 The installation procedures of ducted heating are quite expensive. But once the system is installed, it will offer you great versatility in the way your house is heated. A central unit is used generally by the system that produces air at the high temperature. The air will be pumped then through the ducts that are heavily insulated. 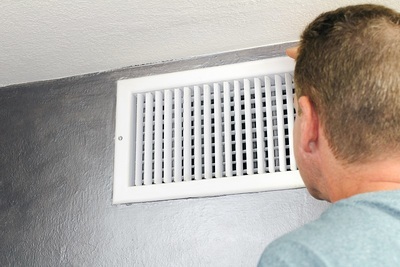 These ducts are very much present under the floor or in the ceiling and they are connected to the different vents of your house. The central heater component of the system is either a reverse cycle air conditioner or the big gas furnace that runs on LPG or natural gas. The reverse cycle air cooling system is also effective for duct cooling. Most of the ducted system controls the heat distribution throughout your house with the dampers. Dampers are the specific mechanics, which is an aid in blocking the heating ducts while preventing the hot air from flowing to specific areas of your house. These dampers can be controlled automatically or by using the remote control. It can be controlled manually also. In most of the cases, the location of the central ducted heating unit is near the center of your house; generally, on the roof of your house thereby prevent the entry of noise inside your house. Ducts are vented either through the wall, floor or a wall according to the preferences of the users. The floor vent is a more sensible option if someone is using the heating system predominantly as the heat will rise with the process and promote effective heating in your room. You also need to consider the location of the floor vents when there is a huge possibility of furniture being moved in future. You can discuss the requirements with your installer to decide the best position for your heating unit. Energy efficiency is another important thing to consider while planning your central heating system. It has not only an impact on the significant emission of carbon dioxide; it will also dictate the exact amount that is spent on heating your house. You can also buy the ducted heating system that uses solar power as these are more energy efficient. Another option to enjoy best of energy efficiency is buying the system that uses natural gas. A three-star rated unit that runs on natural gas produces about three tons of carbon dioxide every year. It emits a similar amount of gas to heat up to 150 squares of a room. The same system that used the LPG produces approx four tones of the carbon dioxide. The reason is electricity proves to be quite inefficient in terms of the carbon dioxide that required to producing it. Another major factor for your consideration should be the operating cost of various types of ducted heating system. The cheapest option is surely the four or five star rated heating system that runs on the natural gas. The cost of running of the system is slightly higher than your space heater that runs on natural gas. The cost of running is actually different for the different unit but the additional advantages that associated with your reverse cycle conditioner are that it can be easily switched to the “cool” option during the hot summer season. A ducted system is actually luxury that can make the iciest, darkest and least survivable months comfortable to get through. On a frosty morning when you just get out of your bed and cannot feel your toes, it will come as a blessing as you turn on your heater and feel the warmth inside the home.